Hello Debbie, lovely to have you on here! 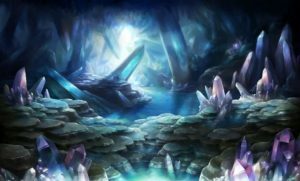 I’m fascinated by crystals, so was intrigued when you recently set up a Facebook business page for The Crystal Cavern UK. Mary, the heroine of my new novel, One Summer in Rome, is a great believer in crystals and usually has one in her back pocket. She’s had a difficult life and feels that her crystals are the one constant. I became interested in crystals after suffering from mental health issues in 2016 – how long have you been interested in them, Debbie? Did anything in particular attract you to this form of healing? Hi Sam, lovely to be here! Looking forward to reading your new book! I’ve always been drawn to crystals, but it wasn’t until I started to attend a yoga studio twice a week that my interest in them was really piqued. My yoga teacher is crystal mad and also sells them. I was buying so many from her that she encouraged me to set up as a seller myself. She always has beautiful crystals laid out in the yoga studio and we use them during our periods of meditation. Like your character in your book, I always carry a crystal in my pocket. I also wear a crystal bracelet of some sort each day, depending on my mood. I think I am a bit of a closet hippy to be honest and so crystals have always held some sort of magical quality to them. I’m a firm believer that the Universe provides us with what we need, and crystals are natural healers. However, the science behind them cannot be ignored either. While it’s nice to have science starting to back up the power of crystals I think they stand their own ground from what we ourselves believe. I know that I am drawn to a particular crystal depending on my mood or need on any given day. I don’t think there’s any science behind that but almost like some form of intuition. Which are your favourites? Mine are Citrine – a lovely yellow stone that helps you take a new direction in life. Amethyst for the emotions and a needle of Selenite I have for its energy. I absolutely adore Rose Quartz for opening the heart up to unconditional love and positive energy. And, lets face it, we could all do with more of those things in our lives. I’m also drawn to Amethyst for its calming effects. It helps me feel more peaceful. I have crystal chip bracelets made of both of these crystals and tend to wear them together. Do you think, in this modern, technical age, people are reverting to older or alternative methods of healing? Yes, I think they are. While the modern, technical age has brought about lots of changes to improve our lives and make them more productive, these changes haven’t necessarily provided all the answers to difficulties we have in our lives, either emotional or physical. I think crystals help us to tap into our belief systems once again no matter what they may be. Technology hasn’t necessarily made us happier and lots of people are looking for something more than being able to sit down a press a button to make everything better. The power of belief in something is very powerful. Is there a crystal that you wear or carry around every day, or does it change? When I was really ill it varied for me, but now I mostly just stick to my Citrine bracelet when I go out. I had to make some changes in my life to get better last year, and I believe Citrine helps me stick with them. It does change for me. At the moment I am wearing bracelets with Green Aventurine for luck and prosperity and also Carnelian for motivation, endurance and leadership. I wear these to work every day because I have applied for a promotion and having these crystals with me during the working day makes me feel more confident in my abilities to prove myself as a strong leader. What do you say to people who pooh-pooh the idea of crystals healing? My answer is, it doesn’t matter what anyone else thinks – if you believe they do, and they work for you, that’s the only important thing. I have one friend in particular who is very strong on her views about crystals and why she thinks its all a load of nonsense. My answer is usually that we all believe in something. Some people believe in a greater being in the sky, others believe in something or someone else. My belief in them doesn’t hurt anyone or make someone else unhappy and I feel a little bit more confident with crystal in my pocket. Sometimes we have to think outside the box and open our minds to new ideas and lifestyles. And, at the end of the day crystals are so beautiful that whether you believe they work or not you cannot take away from the fact that they are aesthetically pleasing and surely that alone makes a person happy. Who doesn’t like pretty things?! 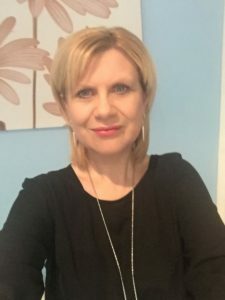 JB Johnston (real name Debbie) is a book blogger and book tour co-ordinator over at Brook Cottage Books where she helps authors promote their work by organising virtual book tours. In the real world JB is a social worker, carer and writer. She has written her first novel but so far is too frightened to send it to a publisher! She is a member of the Romantic Novelists Association New Writers Scheme. When JB isn’t buried under a pile of books she can often be found in some obscure yoga pose at her local yoga studio. Always up for a challenge, JB has also taken classes in ballet, modern dance and pole dancing but has as much grace as an octopus falling out of a tree so gave them up and is now trying to learn something useful and is currently studying British sign language instead! Recently JB has become a crystal seller and has a facebook page called The Crystal Cavern UK where you can find out more about crystals and even buy some! Find out more about Mary’s story, right here! 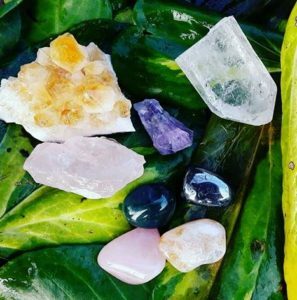 This entry was tagged amethyst, Blogger, citrine, healing crystals, one summer in rome, rose quartz, selenite, The Crystal Cavern, writer, yoga. Lovely interview and as a long-time crystal fan myself, I believe the benefits are a great positive. 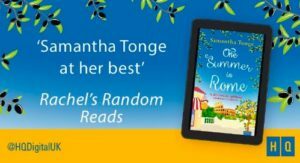 I found myself grinning as I was reading ‘One Summer in Rome’ at the mention of the black haematite bead bracelet … I had one several years ago and lost it. I must replace it! A great chat, thank you ladies! Thanks for popping buy, Linn. I’m always surprised at how heavy haematite is, compared to the other crystals!